The coconut guy in his small coconut shop would want to know first what you need it for. Usually you’ll say it’s for buko salad, or you need the water as beverage, or whether you’d want the meat thick, or gel-like and runny, is enough information. With that knowledge, his itak (bolo) would then make a tap tap on the hard shell and depending on the sound, he’d know which coconut is the right one for you. 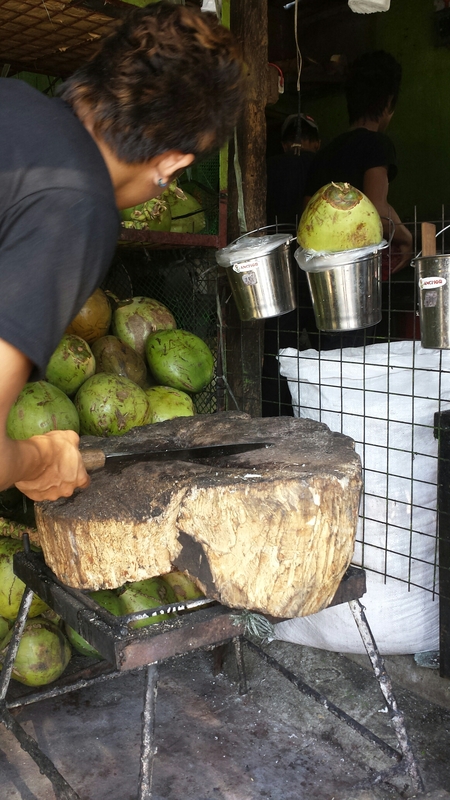 I’ve been here twice already for the same purpose – to buy three coconuts to make agogo (ice candy). 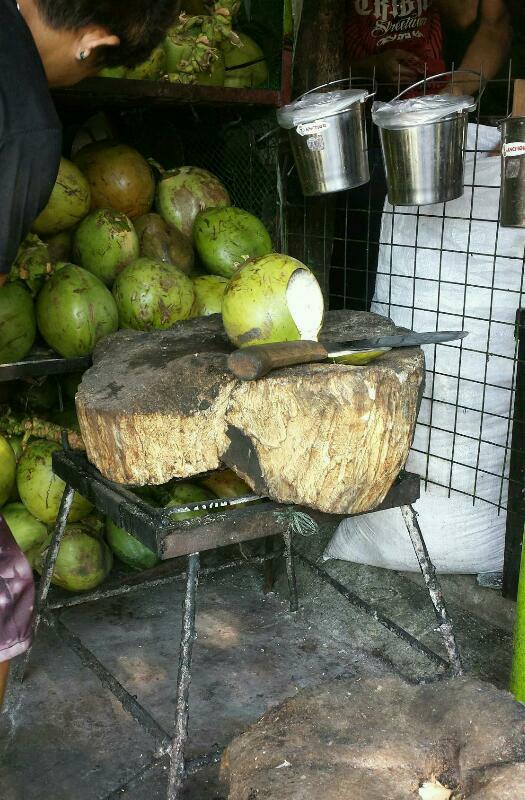 Each time, he’d cut all chosen ones for me on the sliced tree trunk as chopping board, then save the water in a plastic bag, and will manually grate the meat for you, but I stopped him for I opted to do it myself at home (downside was I had to lug all three coconuts). All these value added services are free for each coconut that he’s selling at Php20 (.457 USD) only. Labor is indeed dirt cheap in this country. Though unintentionally, the coconut guy gets a nice arm strengthening workout on the side. I’ve never seen a fat coconut guy. An ingenious and earth-friendly room number at Patrick’s on the Beach resort.